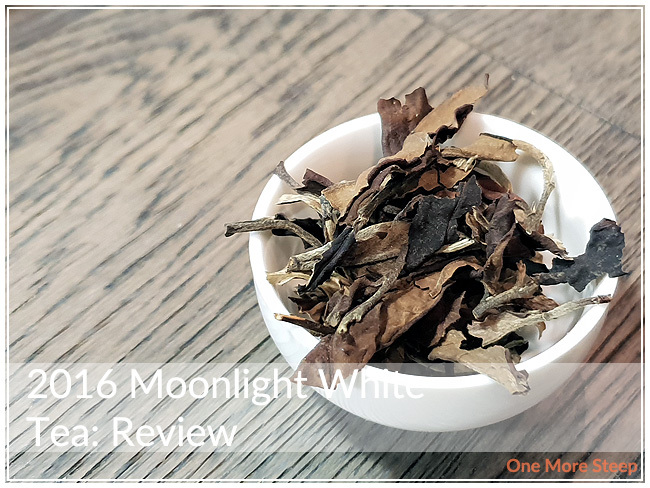 Tea Side has provided me with 2016 Moonlight White Tea for the purposes of providing an honest review. I received 2016 Moonlight White Tea from Tea Side in a silvery foil package (not resealable, which is unfortunate!). The leaves are big, they look like they were just laid out to dry and then were scooped up into the package. There’s some visible downy feathers on some of the leaves, which vary in shades of brown. 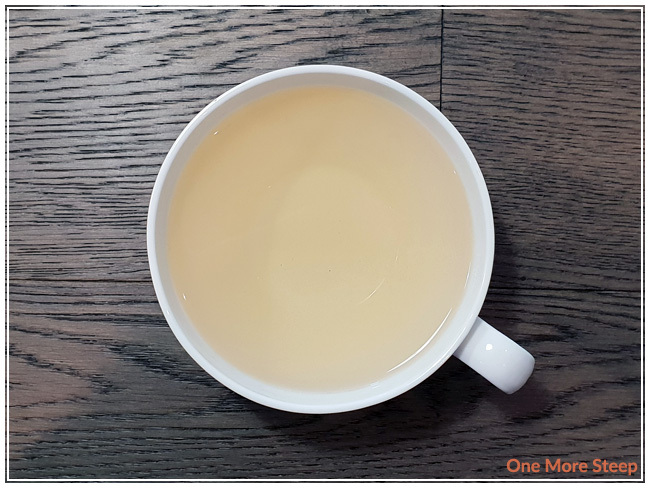 2016 Moonlight White Tea has a very subtle floral aroma to it, and it’s fairly obvious that there aren’t any other ingredients in with this tea. 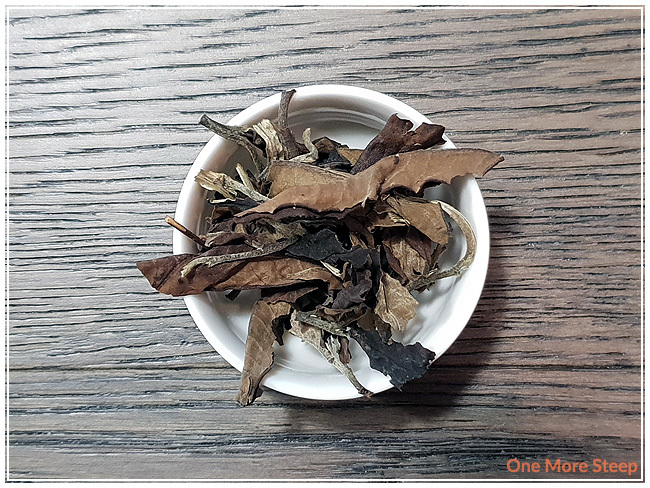 As per the Tea Side website, the 2016 Moonlight White Tea was harvested in Thailand at 1200m above sea level from tea plants that are between 300 and 500 years old. I couldn’t find any steeping instructions for 2016 Moonlight White Tea, so I opted to steep in 85°C (185°F) for 2 minutes. If you’re ever stumped for trying to figure out how long to steep a tea for and in what temperature, check out my steeping guide! And if you’re steeping a tea blend (e.g. white and green tea), always opt for the temperature and length of time that is less. 2016 Moonlight White steeps to a beautiful light golden yellow. I found the aroma to be floral, which did match the flavour. There’s a light floral flavour with a smooth texture. This white tea is easy to drink with the slight sweetness that lingers in the mouth. I think it would pair well with each sweet or savoury dishes with how clear it tastes. I resteeped 2016 Moonlight White Tea a total of 5 times, adding an extra 30 seconds for each subsequent steep. 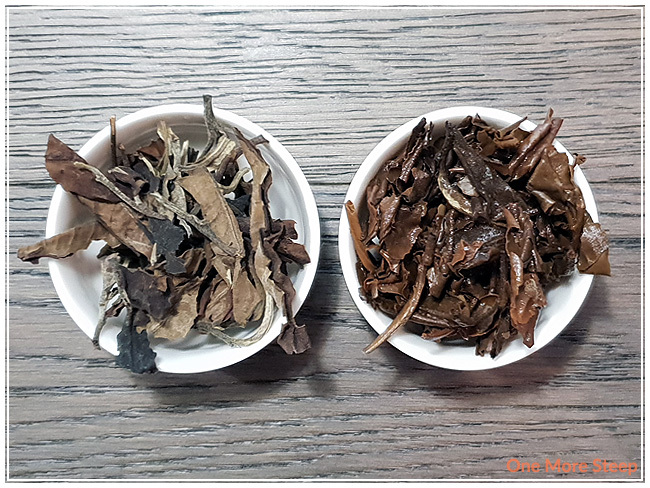 I found that the flavour intensified for the first resteep and then slowly started to fade with each steep. The colour of the tea became more of a deep golden yellow for the first two resteeps. 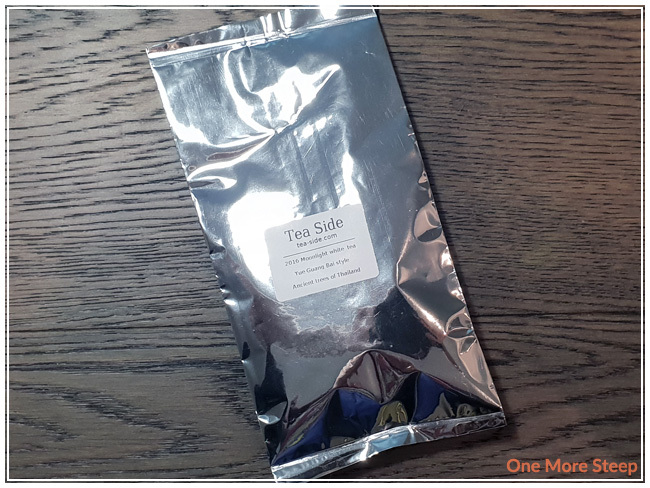 I loved Tea Side’s 2016 Moonlight White Tea. I found the flavour to be really enjoyable, and the white tea resteeped really well and kept a good flavour throughout the steeping session. The floral notes and the light sweetness throughout really made for an enjoyable steeping session, and the fact that the leaves resteeped so well was a nice touch and really showed off the quality in the tea leaves.